I’ve been neglectful of you sweet blog, and I’m terribly sorry. Between the amazing surge of orders and the fact that my little one has been sick the past two months straight (not even joking…) I haven’t had time to even sit and pour out the many ideas and thoughts I have in my head! However, I’ve been really putting my nose in the books and interviews of other small business owners lately especially after this whirlwind/crash course of being one myself. I’ve made some great and bad decisions…and I’m most certainly hoping to make amends before the new year takes off. The other day I was watching this interview with Susan Petersen from Freshly Picked and I was so inspired by her outlook on her business. Not only was she openly sharing her journey, but just sharing about taking direction in your business and what areas of focus to have. From planning to content – it really is extremely informative (you should watch it!). What I took away most was making sure that I attach my story to all aspects of my product, and be open in networking and growing (sponsorships, product reviews, etc). I watched the interview in the midst of hiding in the bathroom from the crazies in the home haha (it was worth it). Humility… usually in anything that centers around you there can be a serious lack thereof. I don’t even know who created the first “shirt.” But thank God they did! Look how many shirts and blouses have resulted from that first design? Sure we have our own spin and perspective that makes us unique, but someone has paved the way. So when watching the interview, I really saw how humility runs through the veins of this particular business – I truly attribute that to being a large portion of her success… Of course along with planning, consistency, growth, and change. But, there is an air of humility that I think separates the good from the great. In planning for this upcoming year – it is a goal of mine to reshape how I do things not just here – but my own life. I am naturally prideful (my husband would smile at this). Many events in my life caused me to develop a false humility/ victim mentality perceived as humility through being humiliated – but not really understanding and practicing genuine humility (another post one day). Starting the shop and growing in the different social communities I am a part of have really stretched and begun to shape this area in my own life in the last few years. I’ve understood especially in my own marriage of not needing to take the credit. When it’s a success you enjoy that success, despite the name on it…and that’s hard. Don’t get me wrong. 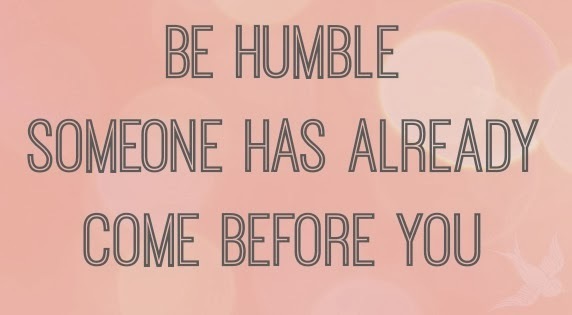 Humility is tricky though, because if you call yourself humble…then you’re probably not. And most humble people don’t even see themselves as that. Kindness, humility, and character take you places your creativity, charisma, and how much others gravitate towards you won’t. They set a strong foundation for any endeavor you chose. That’s honestly why I took a step back and closed the shop so that I could follow through on things I said I would do. I have a tendency that though I have the best of intentions, I can forget and not follow through – it’s a pattern I want to break. So if I owe you a mug or even wanted to send you a hat, I’m going to do it…may take me a while, but it will show up in your mailbox by the beginning of next year. My character and kindness will always outshine any design I can create – it will always be. I don’t want to re-create the wheel or copy the next best blog or business owner…but truthfully there are amazing examples of those who are doing it. The thread that ties them altogether is humility. Yes you have a great product, but how do you treat your customers? How do you respond to emails from people wanting to “review your product” and sometimes just to get a free product (let’s be real…). Most importantly, how do you prioritize your own endeavor and your family? This is a difficult one for me, because I am easily pron to tunnel vision. I can forget anyone lives in my house if I’m trying to work on something, even though my family is my reason for even doing it! Can you relate? Someone is always watching who you are, when you least expect it.